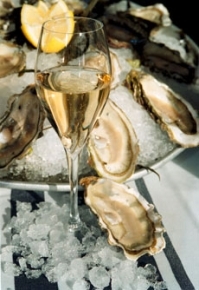 Champagne and Sparkling Wine tasting with Narragansett Bay Oysters! Please join us this Saturday for our Champagne and Sparkling wine tasting with Narragansett Bay Wild Oyster! Happy New Year from Bellevue Wine & Spirits! Join us for a Champagne and Sparkling Wine Tasting this Saturday from 4-6 PM so you may plan out your New Years beverage choices :)We will be pairing sparkling wines and champagnes with Narragansett Bay Wild Oysters being shucked in the store. This will be our last tasting until February, so we hope to see you tomorrow!